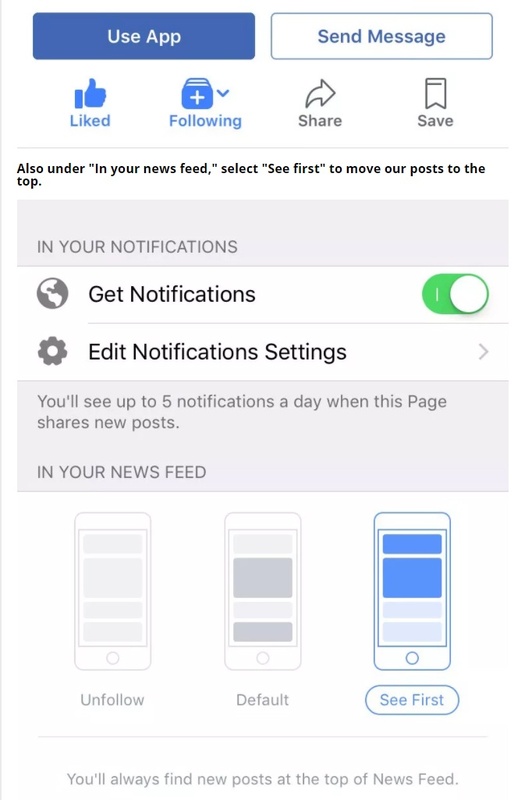 Facebook changed its news feed algorithm to prioritize content from friends, family and groups so you are less likely to see public content from businesses, brands and news media now than before the first of the year. Facebook justified the change for “people’s well-being” and suggesting that businesses will have to work harder to get their members’ attention. So, what can you do to keep the Medical Association in your Facebook news feed? Go to the Medical Association Facebook page and make sure you have “liked” the page. Hover over “Following” and select “See first” from the drop-down menu. Also switch “Events, Suggested Live Videos” to “On,” and you’re all set! 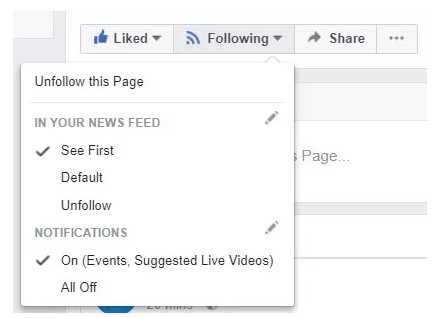 Then select “Follow” or “Following;” click it and turn “Get Notifications” to the on position. Don’t forget to Like and Share our posts with your friends and family! In light of the recent incident in Las Vegas, the Office of Civil Rights, the government entity responsible for HIPAA Compliance, issued clarification guidance on the ability of a health care provider to share patient information during such situations. While such incidents are taxing on health care providers in terms of treating capacity and ability, it is important that providers keep in mind the requirements of HIPAA regarding the disclosure of certain information to the public. A summary of OCR’s recent clarification is provided below, as it serves as a good reminder regarding what information can be shared under HIPAA in these types of mass-casualty, disaster scenarios. Disclosures to Family, Friends and Others Involved in an Individual’s Care and for Notification. You may share health information with a patient’s family members, relatives, friends, or other persons identified by the patient as involved in the patient’s care. You may also share information about a patient as necessary to identify, locate and notify family members, guardians, or anyone else responsible for the patient’s care, of the patient’s location, general condition, or death. This may include, where necessary to notify family members and others, the police, the press, or the public at large. You should get verbal permission from the patient when feasible or otherwise be able to reasonably infer that the patient does not object to the disclosure. If the individual is incapacitated or not available, you may share information for these purposes if, in your professional judgment, doing so is in the patient’s best interest. In addition, you may share protected health information with disaster relief organizations that are authorized by law or by their charters to assist in disaster relief efforts (g., American Red Cross), for the purpose of coordinating the notification of family members or other persons involved in the patient’s care, of the patient’s location, general condition, or death. It is unnecessary to obtain a patient’s permission to share the information in this situation if doing so would interfere with the organization’s ability to respond to the emergency. Disclosures to the Media or Others Not Involved in the Care of the Patient/Notification. Upon request for information about a particular patient by name, you may release limited facility directory information to acknowledge that an individual is a patient at the facility and provide basic information about the patient’s condition in general terms (g., critical or stable, deceased, or treated and released) if the patient has not objected to or restricted the release of such information or, if the patient is incapacitated, if the disclosure is believed to be in the best interest of the patient and is consistent with any prior expressed preferences of the patient. In general, affirmative reporting to the media or the public at large about an identifiable patient, or the disclosure to the public or media of specific information about the treatment of an identifiable patient, such as specific tests, test results or details of a patient’s illness, may not be done without the patient’s written authorization (or that of his/her personal representative). Kelli Fleming is a Partner with Burr & Forman LLP practicing in the firm’s Health Care Industry Group. Burr & Forman LLP is a partner with the Medical Association. Editor’s Note: This article was originally published in the 2015 Winter issue of Alabama Medicine magazine. You may have heard the adage, “Don’t put anything on the Internet that you wouldn’t want tacked to a bulletin board in the Town Square.” Thanks to smartphones and their applications, that adage is easier than ever to ignore – and isn’t always followed. During the past few years, there have been numerous news stories of physicians being reprimanded after inadvertently identifying patients on social media, nurses being fired for posting photos taken during surgeries, etc. So what may a physician do to minimize liability risk when using smartphones? There are many areas of concern – social media, email/text, and smartphone applications. While these may be viable tools for communicating with patients, there are inherent risks – confidentiality, data security, and the potential for email and text to replace open communication. The following tips may help minimize your risk. Social media has exploded from Facebook and its ancestor MySpace to Twitter, LinkedIn, Pinterest – the list goes on – and according to Facebook’s third quarter 2014 earnings, more than 1.3 billion people use Facebook monthly. You’ve heard ad nauseam that patients who perceive they have a good relationship with their physicians are less likely to sue, even in the event of an adverse outcome, and heard more times than you can count that communication is the cornerstone of your relationships with your patients. But, that advice is proffered for the therapeutic, professional setting. So how do you navigate the boundary between therapeutic and personal – or social? “As a physician, I understand the perceived value of the ways in which patients tend to rely on Facebook to communicate with family and friends. However, we physicians need to be sure of a couple of things: One, communication about a patient’s therapeutic course happens face-to-face and, at times, is supplemented with phone conversations, with the common thread of give-and-take interaction. And two, ethically, that we don’t blur the line between therapeutic care and the social relationship,” Hayes V. Whiteside, M.D., Chief Medical Officer and Senior Vice President of Risk Resource at ProAssurance, said. Generally, the best advice is to keep your professional and personal lives separate when using Facebook and not accept friend requests from patients. Facebook friends typically have access to all other friends, to photos posted, and also to notes and messages posted on your wall. No matter how tightly you lock down your privacy settings, there’s no guarantee of privacy. Frequently monitor privacy settings and the page itself.Create guidelines or policy for staff regarding who may post updates to the page and under what circumstances, including who will redirect questions on the page to appropriate physicians for follow-up when a question is not general enough to be answered on the practice’s page, or when doing so would compromise patient privacy. Create guidelines or policy for staff regarding who may post updates to the page and under what circumstances, including who will redirect questions on the page to appropriate physicians for follow-up when a question is not general enough to be answered on the practice’s page, or when doing so would compromise patient privacy.Ensure patient confidentiality. Refrain from publicly posting any protected health information, whether in discussion with a patient or other physician on the practice’s Facebook page. Doing so could result in a HIPAA violation. Ensure patient confidentiality. Refrain from publicly posting any protected health information, whether in discussion with a patient or other physician on the practice’s Facebook page. Doing so could result in a HIPAA violation. The American Medical Association has issued “Opinion 9.124 – Professionalism in the Use of Social Media,” and it may be found here. While email and, to a certain extent, texts may be viable tools for communicating with patients, there are some inherent liability risks. Issues such as confidentiality, data security, and the potential for email to replace open communication are examples of those risks. If email or text is used, risk management experts recommend physicians refrain from sending time-sensitive, highly confidential, or emergency information. Information concerning prescriptions, normal lab results regarding non-sensitive medical issues, appointment reminders, and routine follow-ups may be appropriate to transmit via email. Confidentiality and security become issues of primary concern. Who will be processing the messages? Will physicians obtain informed consent from patients regarding transmission of information via email? Who has access to the email account? To the computer where emails are stored? If email is used, risk management experts recommend physicians refrain from sending time-sensitive, highly confidential, or emergency information. Information concerning prescriptions, lab results, appointment reminders, and routine follow-up inquiries are generally appropriate to transmit via email. Physicians should also print emails to and from patients and place them in the patient’s medical record. The AMA in its “Opinion 5.026 – The Use of Electronic Mail” recommends physicians don’t establish a relationship via email and notes the same ethical obligations apply to any other encounter apply to communication via email. Regarding texts, medical/legal experts note they are subject to the same considerations and parameters as emails when it comes to privacy and protected health information, such as incorporation into the medical record. Risk management experts recommend avoiding using text to communicate patient information, treatment advice, etc. The AMA’s opinion may be found here. Regardless of whether a smartphone app transmits, stores, or simply accesses patient health information, physicians should ensure the apps are HIPAA and HITECH compliant. HIPAA requires data security and proper destruction and/or file retention of patient health information when appropriate. Physicians should remove patient health information from devices with apps before discarding/replacing the device. Wireless apps should be reviewed to ensure security at all levels. A security policy addressing mobile devices and apps that can be used, along with the appropriate use and destruction of patient health information, should be in place. Work closely with information technology personnel to address security issues. ProAssurance-insured physicians and their practice managers may contact Risk Resource for prompt answers to liability questions by calling (205) 877-5015 or email at riskadvisor@proassurance.com. ProAssurance is an official Platinum Partner with the Medical Association.